Edward was born on December 24th, 1907 in Arlington, Washington County, Nebraska. 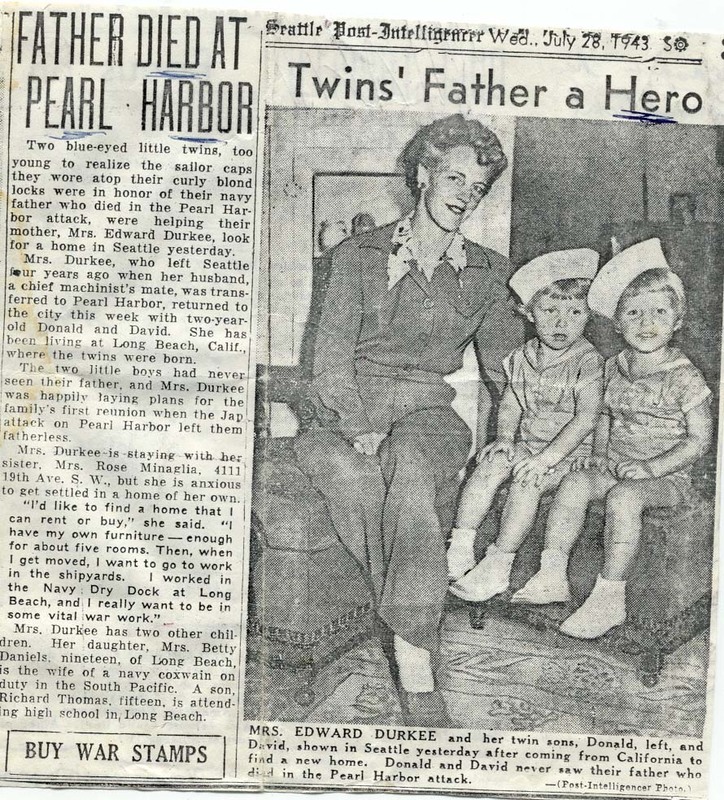 He was called to Pearl Harbor after he found out that his wife was pregnant with twins. 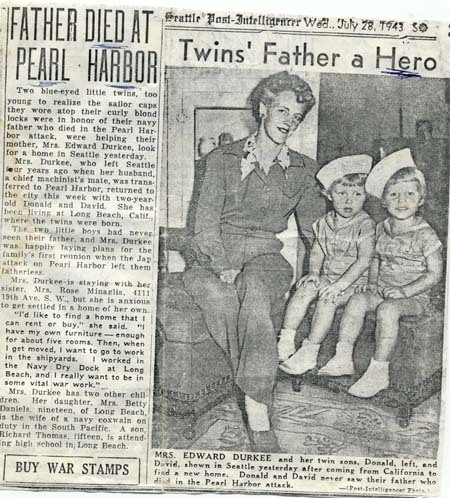 They wrote back and forth frequently and on February 12, 1941 she had twin boys. Edward never saw his sons. He saw photographs and that is it. He was planning to come home for Christmas that year and he always bragged about his family. Edward Norman Durkee's wife is Mary Prudence Dunklee Durkee, their twin sons were David Allen Durkee and Donald Dale Durkee.